An opiate is a narcotic analgesic that contains either synthetic or natural occurring opium extracted from the seed pod of poppy plants. Opiates are powerful narcotics that are some of the most effective remedies to medically alleviate moderate to severe pain we have available. While opiates are some of the most widely used pain relievers in the world, they are also some, of the most abused substances in human history. Long term abuse of opiates can lead to debilitating addictions, dependency and even death. 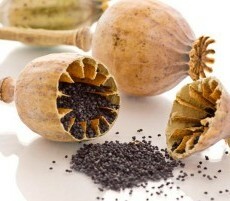 Opiates work by targeting the opiate receptors in the brain that are responsible for pain. Once the opiate attaches itself to the receptors in the brain the body begins producing more endorphins, which are natural pain-relieving chemicals produced in the body. Opiates also work as powerful depressants to the central nervous system, and slows the brains reaction time down to external stimulus. Opiates decrease the ability to reason and can slow reaction times when speaking with others. People abusing opiates often look like their almost sedated, with their eyelids half open and frequently nodding out. Side effects of opiates may include slowed breathing, nausea, vomiting, sleepiness, blurry vision, and slight anxiety. While many may think of heroin as the typical drug associated with opiate abuse, opiate based prescription painkillers such as Oxycontin and Vicodin, are quickly becoming the most abused prescription drug in the United States. These pills include oxycodone, Oxycontin, codeine, hydrocodone, morphine, Vicodin, percocet, and hydro morphine. What many people don’t realize is that these pills, while sold legally with a prescription, can be some of the most addictive and destructive drugs out there. And because prescription pills are much more accessible and most illicit drugs, they come with a high rate of abuse and addiction. Long term opiate use is often characterized by increased tolerance, addiction and physical and psychological dependence. Because drug addiction is a biological and pathological process, prolonged use can alter brain functions in fundamental and long lasting ways. Long term abuse of opiates can have devastating effects on brain endorphin and serotonin levels and can result in complete physical and psychological dependence to the drug. When a person has become completely dependent on opiates they will often get severe withdrawal symptoms if they abruptly stop taking the drug. Opiate addictions can be some of the toughest to break, and continues to devastate the lives of thousands of new users every year.